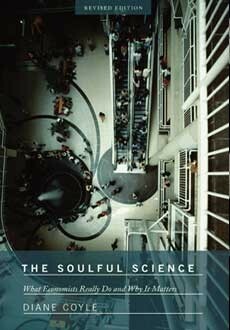 Her previous book was The Soulful Science. As the subtitle explains, it’s about what economists really do and why it matters. The book surveys key developments in economics during the past 20 years, advances which have revolutionised economists’ ability to analyse society and improve policies. It was one of the business books of 2008 in The Times and featured in Les Echos and the French blogosphere.